Don't underestimate Pearla's simple chicness. 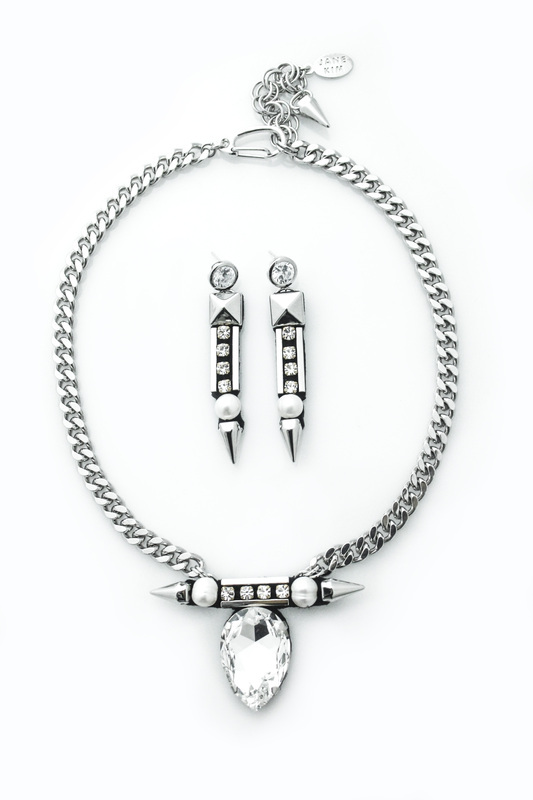 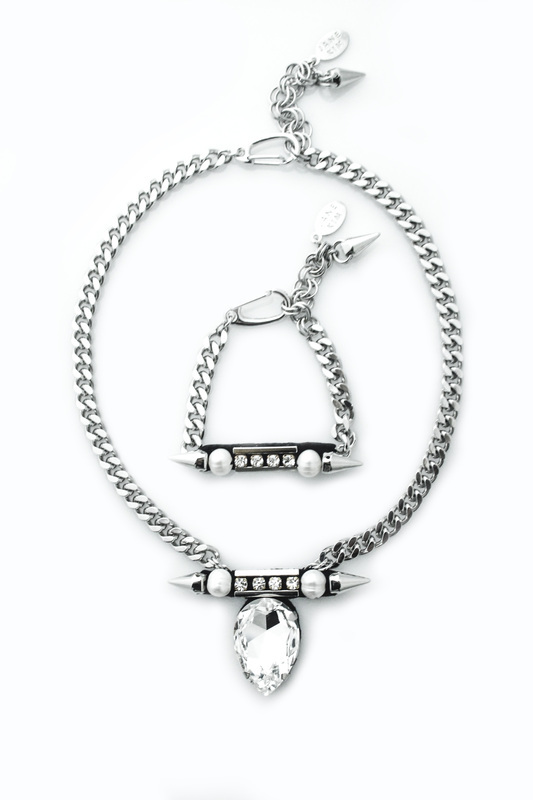 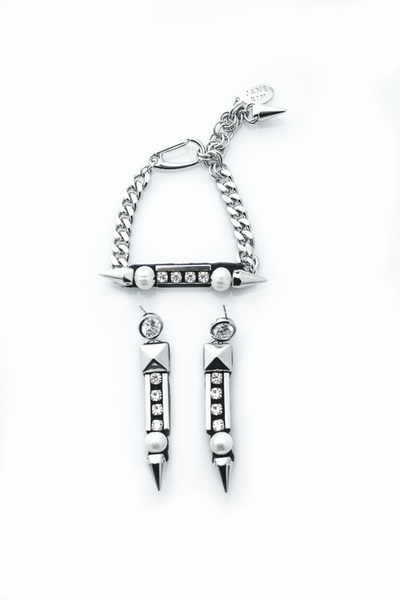 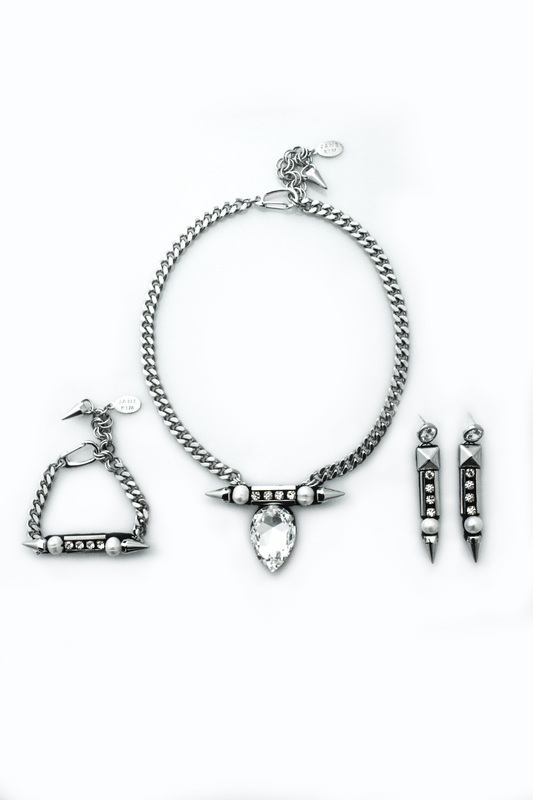 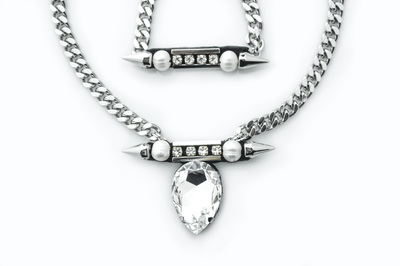 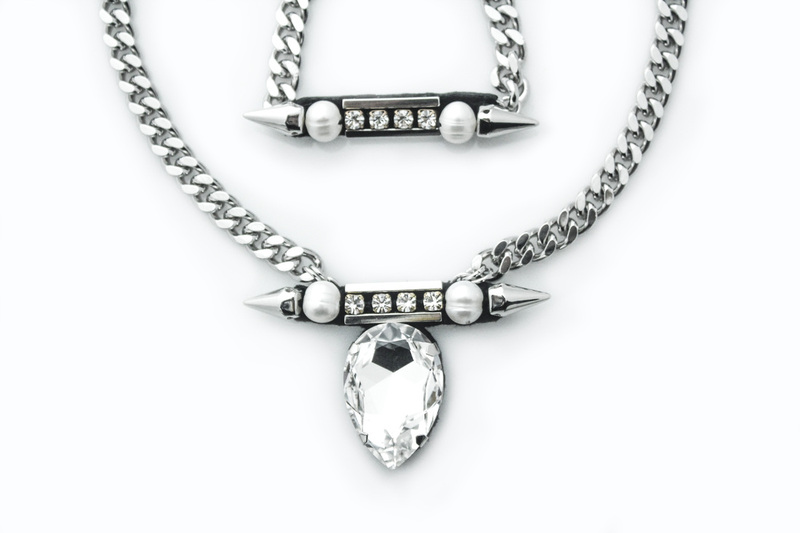 Embellished with Swarovski crystal pear drop, crystal rondelles, freshwater pearls, silver-plated studs, spikes and bars. Finished on lamb's leather.